The 72nd Poteet Strawberry Festival Ranch Rodeo and Rodeo were a huge success with thousands gathering to watch the thrills and chills of the rodeo professionals and amazing animal athletes. “Thursday’s attendance for the inaugural ranch rodeo was the best Thursday night crowd I’ve seen in the six years I’ve announced this event,” said Matthew Myers who has been the official PSF Rodeo announcer for 23 years. “The rain late Saturday night made the arena conditions really good for the contestants. The ‘Poteet Sand’ can take a lot of moisture to get to the ideal footing condition for the animal athletes.” Meyers was awarded the CPRA announcer of the year in 2015 and was the 2016 CPRA Finals Announcer. He is also a Texas Licensed Attorney who lives in LaCoste. 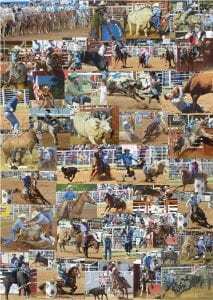 His website is www.2mbrand.com and he is the host of “Make Rodeo Great” Podcast. Leon Coffee who in his 35 plus year career has accumulated almost a thousand rodeos and more than 100 broken bones was a delight to all. He is definitely a rodeo clown, but bull fighter would be just as accurate a name. He is such a legendary figure in the world of rodeo that he was inducted into the Pro Rodeo Hall of Fame in 2018. Coffee also served at the Poteet Strawberry Festival Parade’s Grand Marshal. 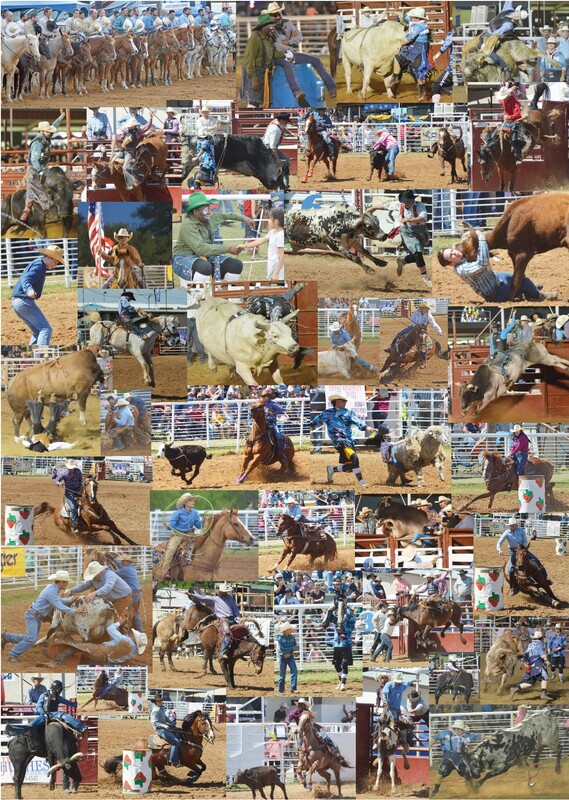 Big thanks to Joe David Cordova for his Poteet Strawberry Festival rodeo photographs. There are definitely a few that we will be entering into press association contests. All photos taken by Joe David will be available soon on the Pleasanton Express’ Smug Mug site at pleasantonexpress. smugmug.com.